If you’re looking for fast and friendly, expert locksmiths for transponder key programming in Dallas and Fort Worth, TX and surrounding areas, then Dallas FW Locksmith is the one for you. Our automotive locksmiths have 5+ years of experience and are licensed, bonded, and insured technicians. As a complete locksmith service, we offer a full range of services, including lockout services, ignition switch repair, key cutting, and key replacement, among many others, for both personal and commercial needs. Our mobile locksmiths are there for you when you need us with our 24x7 locksmith service. We feature up front pricing and a 30 min response time. We train our techs in the latest standards of transponder key programming for optimal ability to quickly work with transponder keys for vehicles of all makes and models, both foreign and domestic. Transponder car keys are a remote control for your vehicle. Also called proximity keys, they are a real time-saver for consumers. In the same way that a remote control for a television turns the TV on and changes the channels, these proximity keys have a microchip that communicates with the vehicle through a radio signal to unlock it from a distance. Each one is programmed to a specific vehicle and only works within a certain distance of that vehicle. Transponder keys can look like regular car keys that have a plastic top with buttons, or they can be a handheld device without the metal key portion. Some of these keys have additional features, such as starting the ignition, the heat, or the air. Whether it’s your personal car or company truck, we pride ourselves on being the best in the locksmith business in Dallas and Fort Worth, TX and surrounding areas for transponder key programming. Like any technological device that’s meant to make life easier, it’s frustrating when car keys stop working. Our expert technicians are thoroughly trained and equipped with the most up-to-date tools so they can re-program your key and get you back to work or play. Sometimes keys stop working because of damage, such as the case breaking or the loss of a button. If your transponder key needs to be replaced rather than reprogrammed, we can do that, too. We carry a selection of replacement transponders for all makes and models of foreign and domestic vehicles. And with our upfront pricing, you’ll know right away how much it will cost to get your new key and start using it. Cars aren’t the only vehicles that come equipped with transponder keys. Motorcycles, RVs, boats, and ATVs also use these handy devices. We understand that keys break when you’re out having fun, too; that’s why our mobile technicians get to you fast so you can get back to having a good time. With our 30 minute response time, you’ll be back on the trail or in the water in no time. No one plans on breaking or losing their keys, but when it does happen, Dallas FW Locksmith is there for you to repair or replace your keys so you can get back to life. We are available for you every hour of every day by providing 24X7 locksmith service with a 30 min response time so you’ll never be left without a key. Because we’re local, we know the area, and our mobile locksmiths will arrive with a smile on their faces. Fully licensed, bonded, and insured, our knowledgeable and courteous staff make you our top priority. Our upfront pricing will give you plenty of budget-friendly options for a solution to your auto locksmith needs. Dallas FW Locksmith is a complete locksmith service, here for you when you need us. If you’re looking for quick, quality service, give us a call. We look forward to getting you back into your vehicle and back to a great day with our prompt transponder key programming and replacement services. 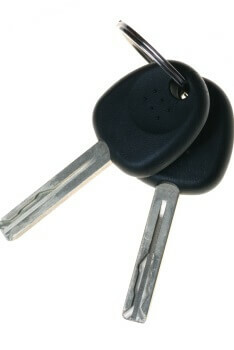 Transponder Key Programming http://dallasfwlocksmith.com/transponder-key-programming/ 3.9/5 based upon 31 reviews.